JFK: One PM Central Standard Time, a Secrets of the Dead special presentation, airs Wednesday, November 13 at 10 p.m. on West Virginia PBS. 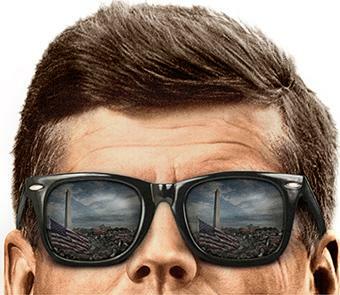 John Fitzgerald Kennedy was the 35th President of the United States serving from January 20, 1961 until his assassination on November 22, 1963 in Dallas, Texas. Five decades later, as we mark the 50th anniversary of his death, JFK: One PM Central Standard Time tells the story of two men, one the President of the United States John F. Kennedy – shot in Dallas and rushed to Parkland hospital, his fate unknown – and the other respected CBS Evening News anchor Walter Cronkite, knowing he had to get the story right amid myriad uncertainties that tragic day. 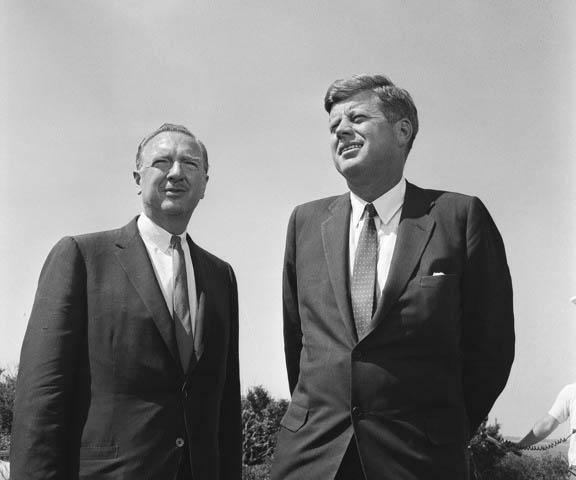 CBS Anchor Walter Cronkite and President John F. Kennedy. Narrated by George Clooney and featuring interviews with President Bill Clinton and Brian Williams, anchor and managing editor, NBC Nightly News and Rock Center with Brian Williams, the special recounts the riveting story of the reporting from Dallas and the New York CBS Newsroom from the moment President Kennedy was shot until Cronkite’s emotional pronouncement of his death at 1 p.m. CST. The program features moving memories from the producers, writers and reporters who were there on the day, including Dan Rather, Bob Schieffer, Marvin Kalb and Marianne Means.